Perhaps the name given to Levi Henri Morin (1916 - 1986) came from the city of Levis. 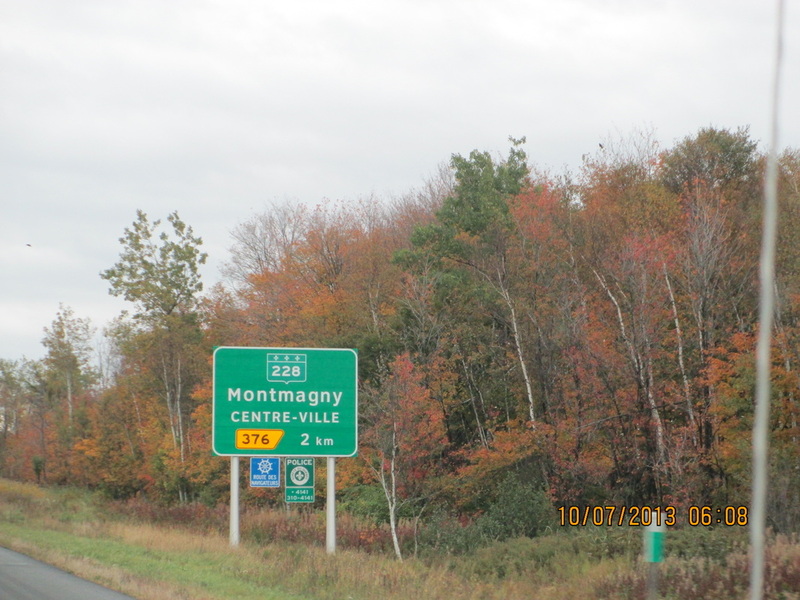 Many of our ancestors settled in Montmagny county. 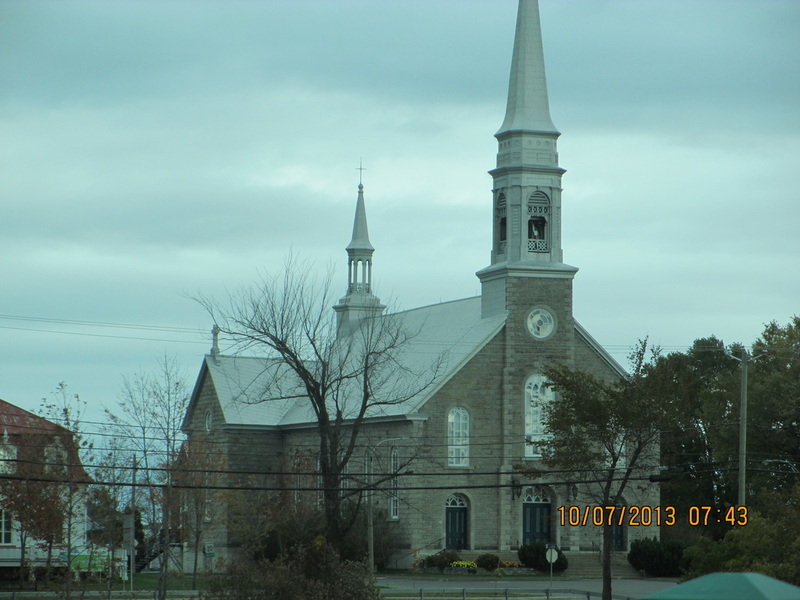 St. Francois: I regret not driving out of the way to St. Francois. The large scale map did not show specific directions to St. Francois, nor had I properly researched this location before I left home. Next time! NEEDS TO BE VERIFIED ON ANCESTRY.COM GENERATIONS NOT LINING UP.Using my mother, Olive Morin's family I recapture a bit of family and French Canadian history: Pierre Morin I dit Boucher (1st generation). Born 1639 Normandy, France. 1680 - Married Marie Martin - Moved to Beaubassin, Acadia. 1690 - Pierre I died. 1655 - Born Port Royal, Acadia (Nova Scotia). 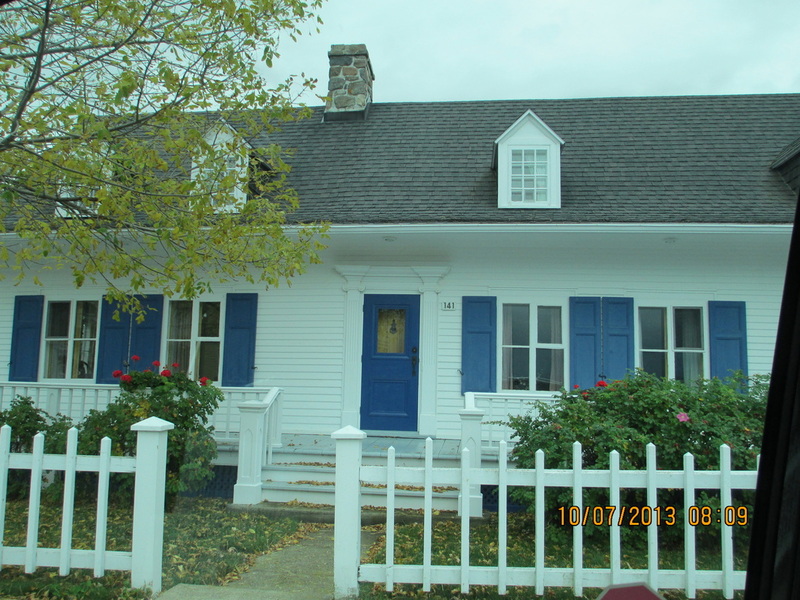 - Settled in Restigouche at head of Baie-des-Chaleurs/Chaleur Bay. 1693 - Married #2. to Francoise Liasson. 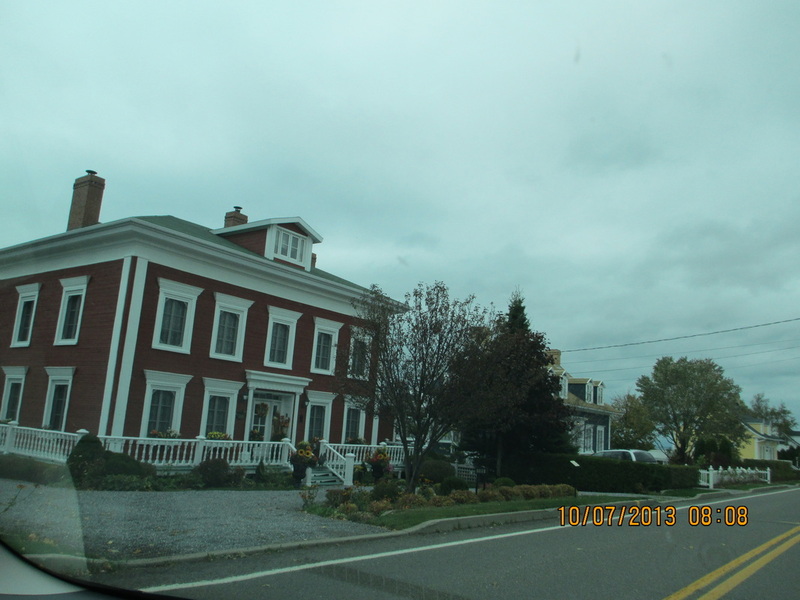 1708 - Moved family to Montmagmy on south bank of St. Lawrence. 1713 - Governor demanded oath of allegience of British King, become Protestant. Gradually they took partial oath never to take arms against English. 1720 - Plan for the Acadians to disappear forever, since they were in the path of expansion. 1755 -The Exile - The Great Deportation. The land was left uninhabitable to prevent their return or to starve those who escaped. 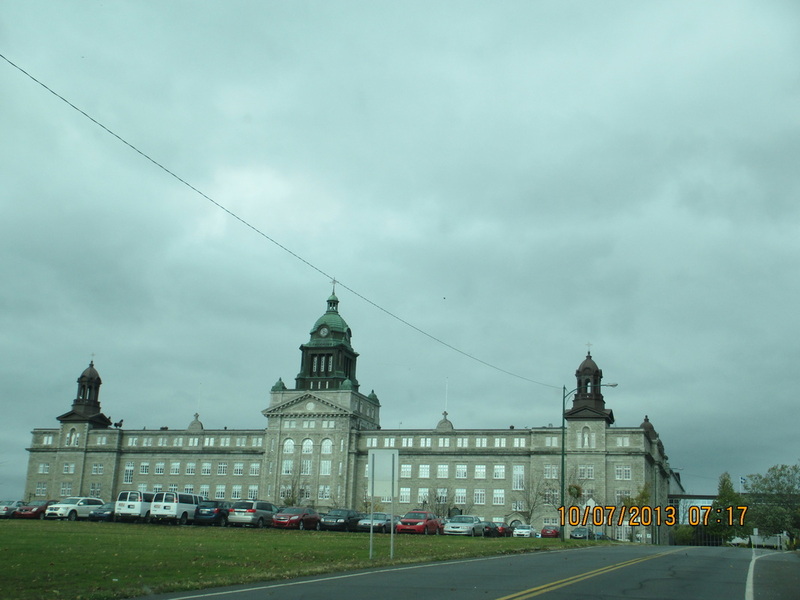 Order was given to exterminate Catholic parishes along the St. Lawrence River as far as Quebec. 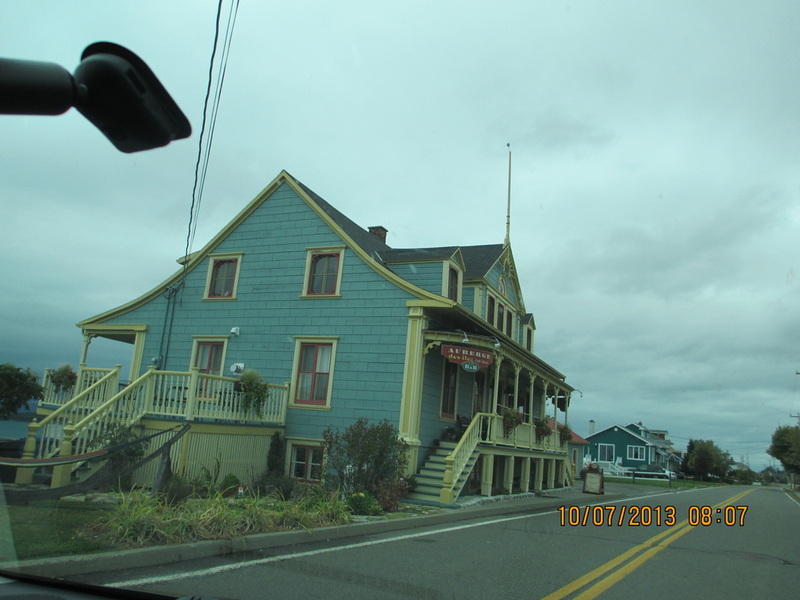 Some hid along St. John River (New Brunswick) escaping to shore of St. Lawrence and making way to Cacouna and Riviere du Loup and established 'little Acadias' in St. Jean, L'Prairie, and L'Acadie. - Others were deported (deposited) along Atlantic coast as far as Louisana (under Spanish rule and later under France. They were dubbed Cajuns because of their dialect and heritage. 1767 - Pierre II died from wounds from the war. 1851 - Toussaint Irenne dies. The Morin family arrived in Canada between 1615 - 1700. Generation 1. Pierre Morin I (- 1741) married #1. Marie Martin. Married #2. 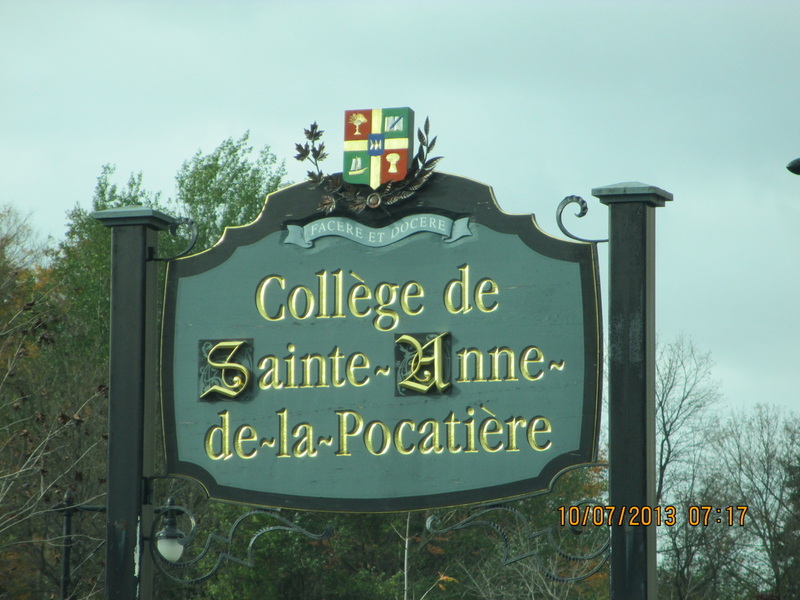 Francoise Chiasson (M. 11/8/1682)opened some land at St. Francis county of Montmagny on the left bank of the river. Generation 2. His son, Pierre II Morin, inherited from his father eleven acres of river front land from the approximately 308 acres.Pierre Morin II married Mary Francoise Boule in January 10, 1707. He was well-educated, a Major in the army as well as farming the land.He died from wounds from the war. He built a house on land near the South River that often flooded. 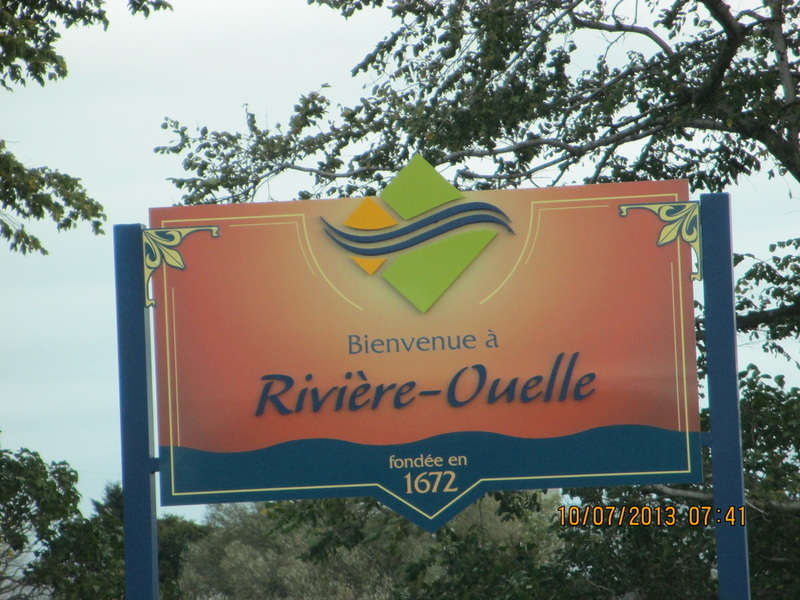 The city of Montmagny itself is parted by the South River (French: Rivière du Sud). Generation 3. Their son, Augustin Morin (1725 - 1802) inherited and developed the land to the black soil which can be recognized even today. Generation 4. Toussaint-Irrenne Morin (1764 - 1851) inherited land at St. Francois Sud Rievier (south river) and continued clearing land of dense oak trees a ways beyond Oak Hill. Generation 5. Irrenne (or Rene) Morin b. 1792 d. 1844. Married Marianne Gervaise Gendrdon. (D. 1877). He inherited the home place at St. Francis. Rene cleared about 44 acres, leaving about four acres of timber. Here our family line switches to the maternal line. The daughter of Rene, Olive Morin continues. Olive Morin (b. 1828-d. 1906) married Jean Baptiste Morin (b. 1822 d. 1883)with church dispensation. 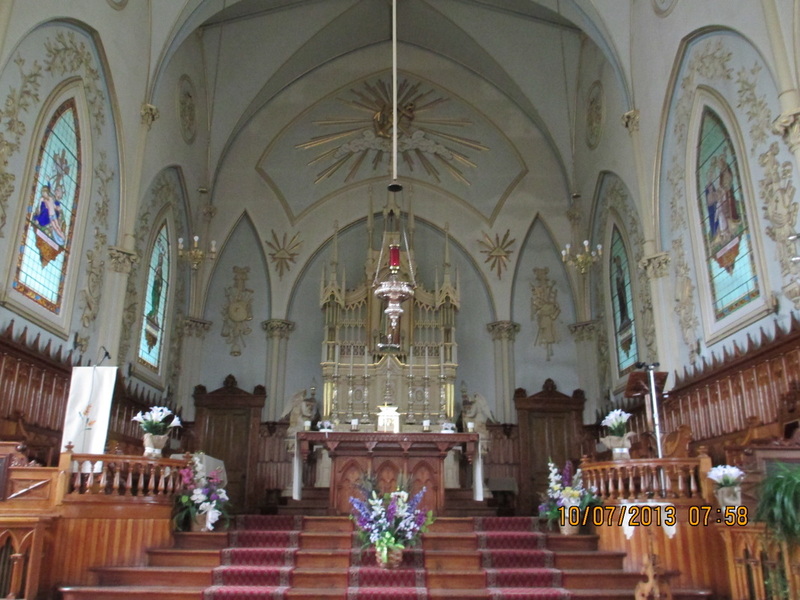 The made their home at St. Theodore D'Acton in 1856. Below is a continuation of the line of distant cousins. Generation 6. 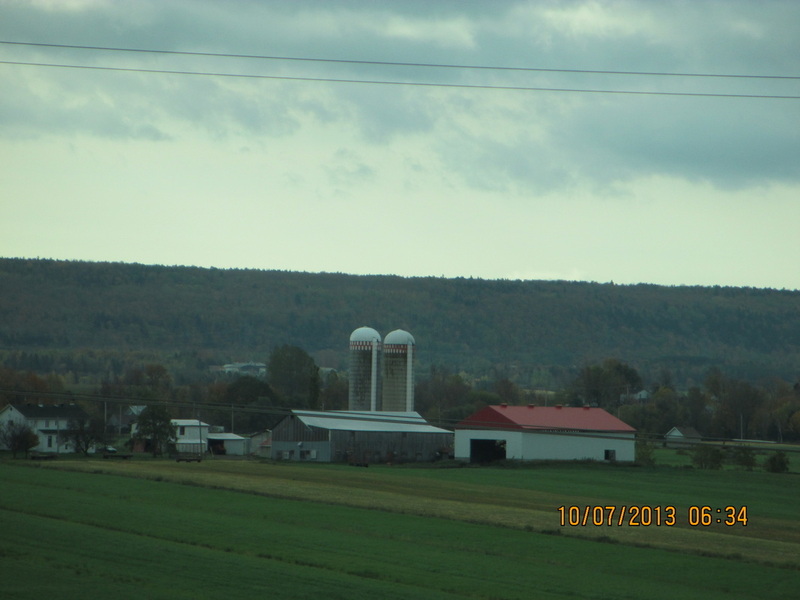 Vital Morin (my great-grandmother's brother) married Henriette Buteau inherited the farm land. Generation 7. 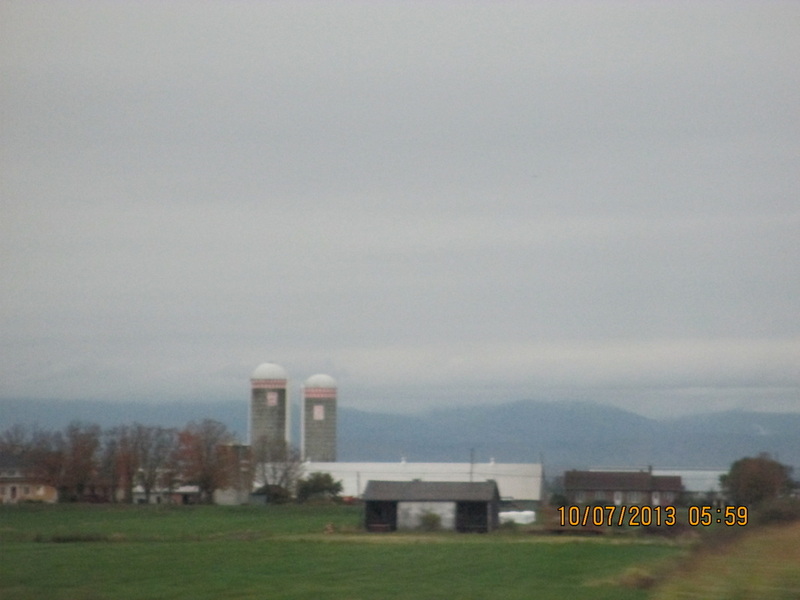 Zephirin Morin married Emilia LaChance inherited the homeplace. While Monts Notre Dame is the official name, the vast majority of people living in the area stretching between Quebec City and the Gaspe peninsula refer to this as simply "the Appalachians" (French: les Appalaches) which is the origin of the official designation of the region comprising Quebec City's South Shore suburbia extending to the US border to the east and northeast, known as Chaudière-Appalaches after the mountains and the main river flowing down from them into the St. Lawrence. Church of St. Denis. The only village church that was open. 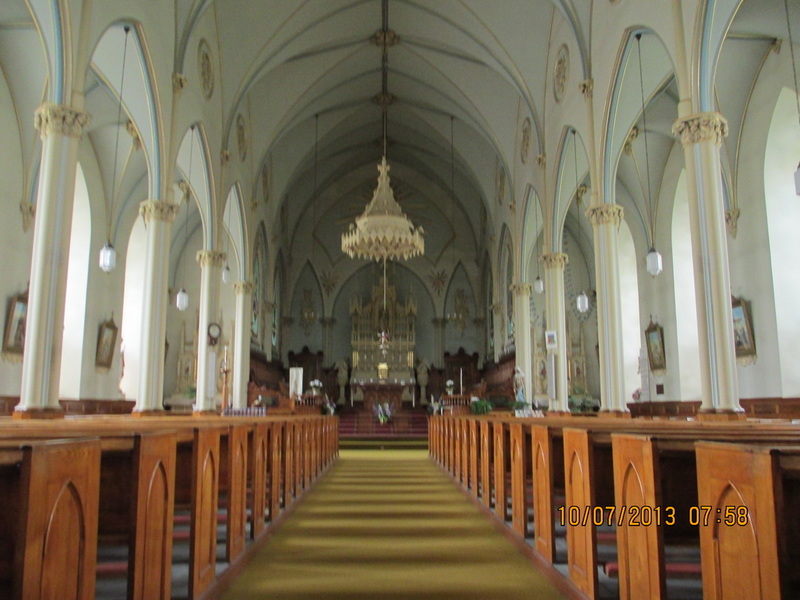 St. Denis Church reminded me of St. Josephs Church in Damar, Kansas. Very ornate. 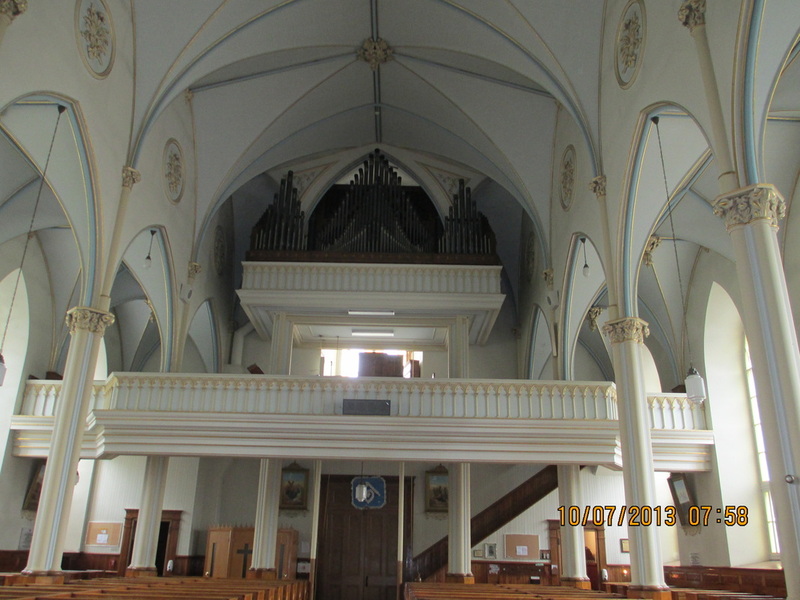 Looking back at the choir loft. Beautiful details. I can see where the Kansas French-Canadian pioneer Catholics got their inspiration. 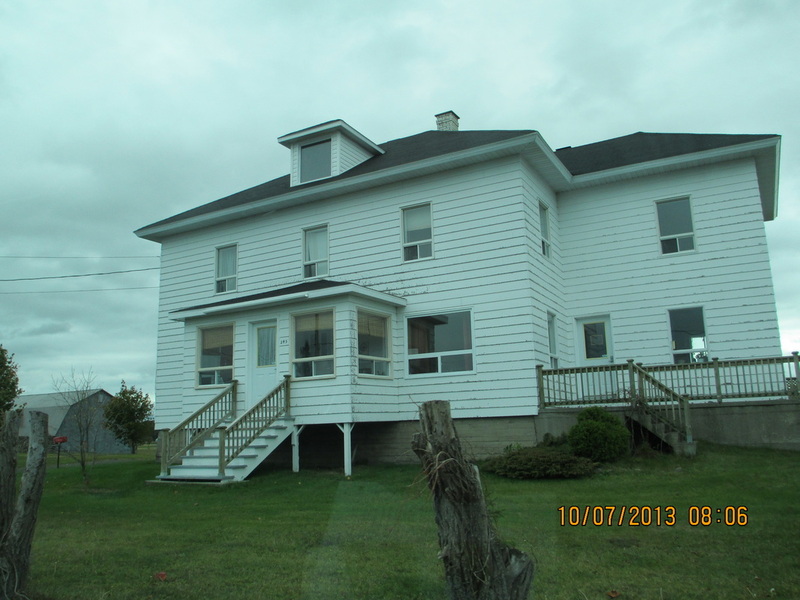 This house and those below, as well as many others, sit on a narrow stretch of land between the St. Lawrence River and the highway. 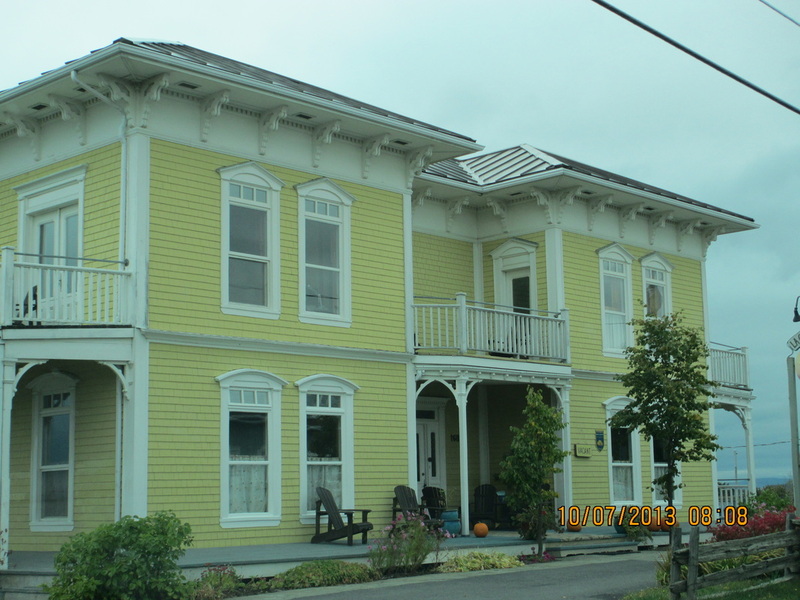 Front of the house pictured above. 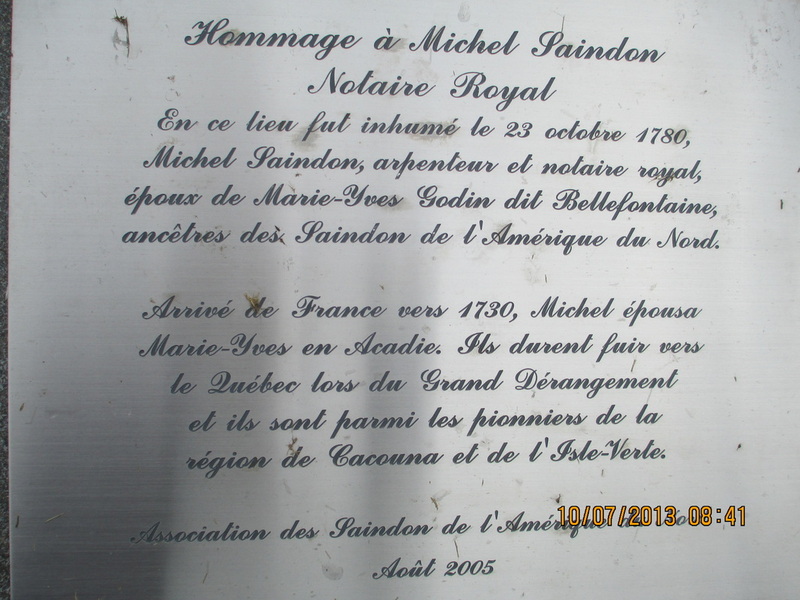 The Saindon Association erected this plaque at Berceau de Kamouraska in memory of Michel Saindon - the founder of Cacouna. 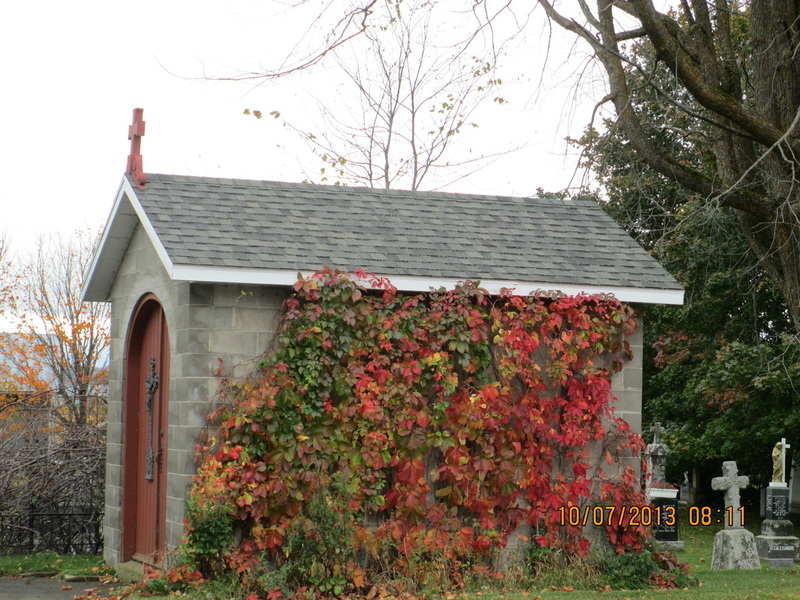 A small chapel, or perhaps a storage shed at st. Louis de Kamouraska cemetery. 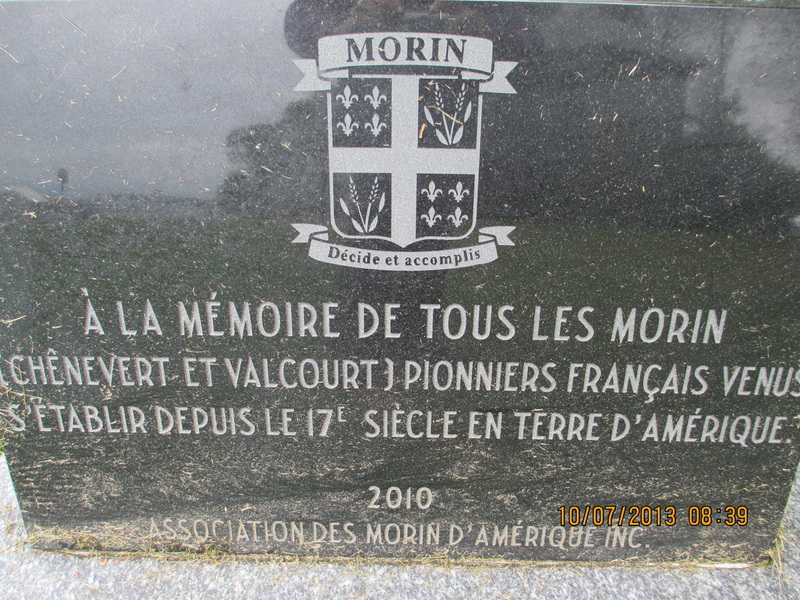 Plaque in memory of all Morin pioneers. 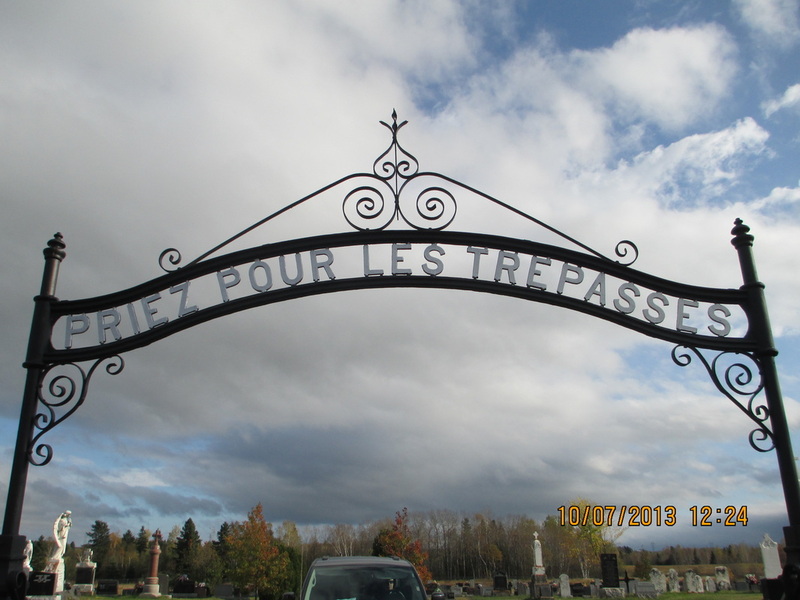 St. Louis de Kamouraska Cemetery. There is much history of flooding in this area. An ancestral grandfather, Jean Baptiste Roy (1675-1722) was buried here, as was Michel Saindon (b.1718-d.1780). 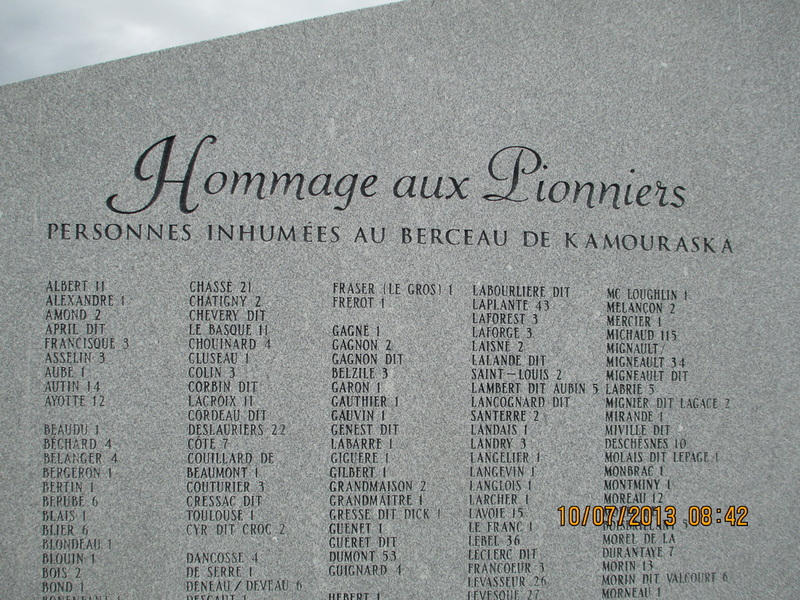 However, the memorial history was transferred to the site of Berceau de Kamouraska where there are memorials to our ancestors. 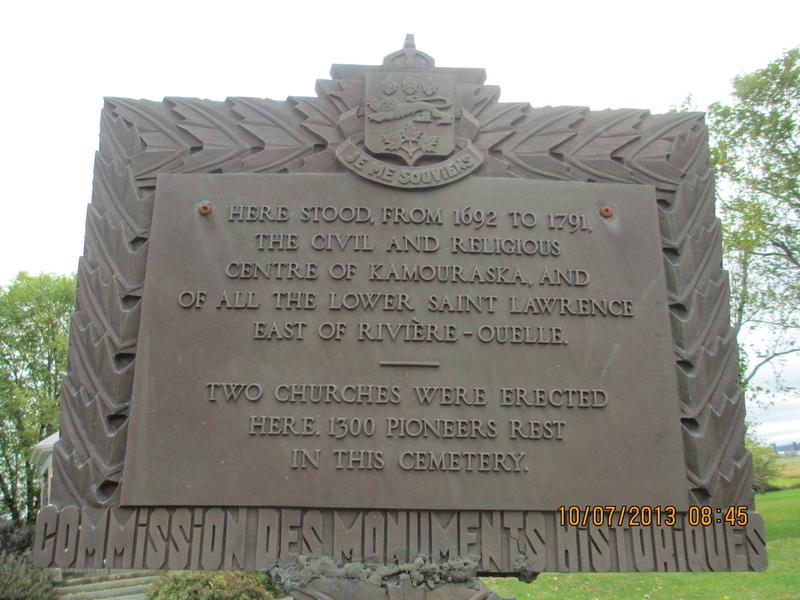 Here stood from 1692 to 1791 the civil and religious center of Kamouraska and all the lower Saint Lawrence east of Riviere-Ouelle. Two churches were erected here. 1,300 pioneers rest in this cemetery. 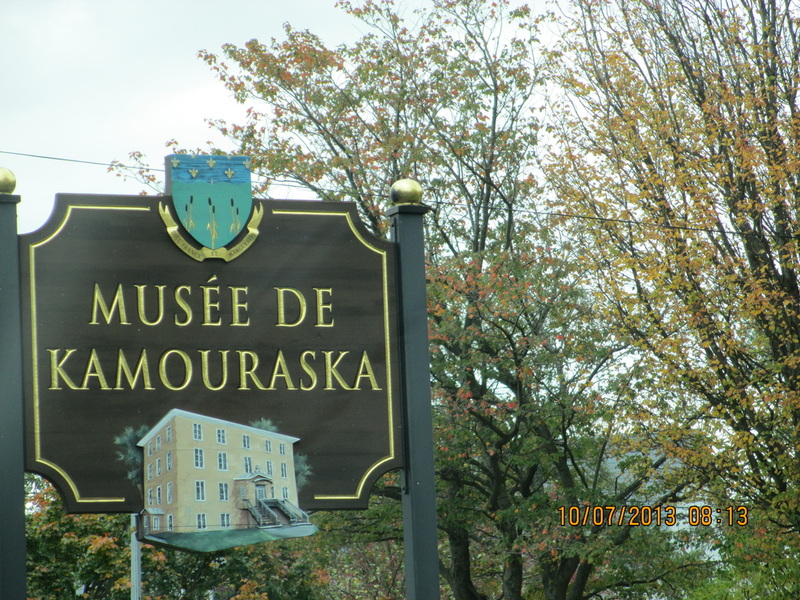 The Museum of Kamouraska is a great source of information and the staff helpful. 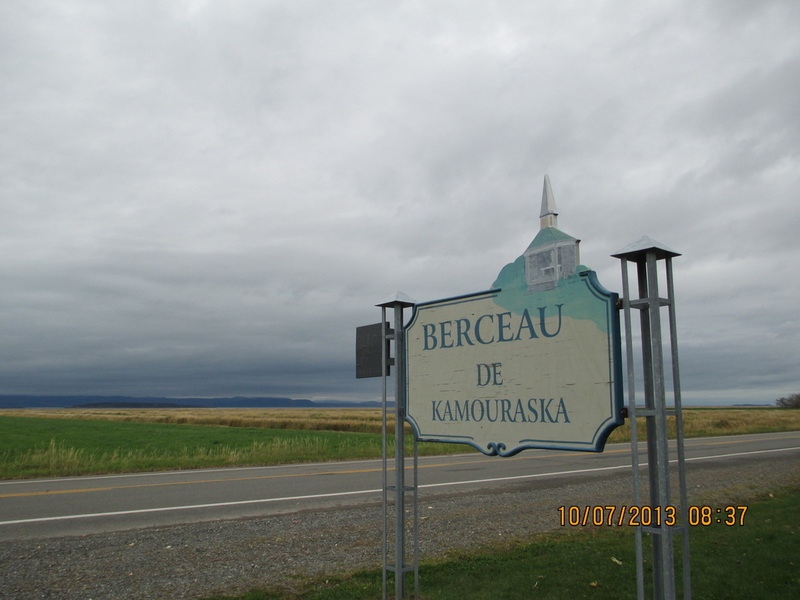 The number of family names buried in Berceau Kamouraska. My grandfather, Philisime Roy's godfather was Felix Sirois. There is a street named Sirois in this town. 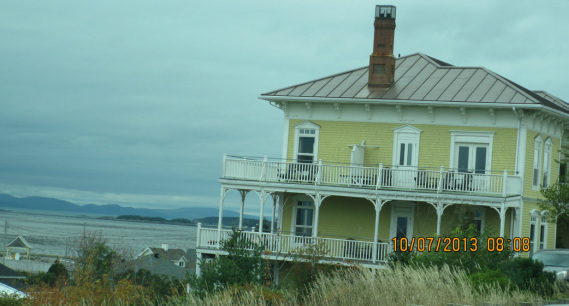 Berceau de Kamouraska. Berceau means cradle. The center of where many of our relatives first lived. 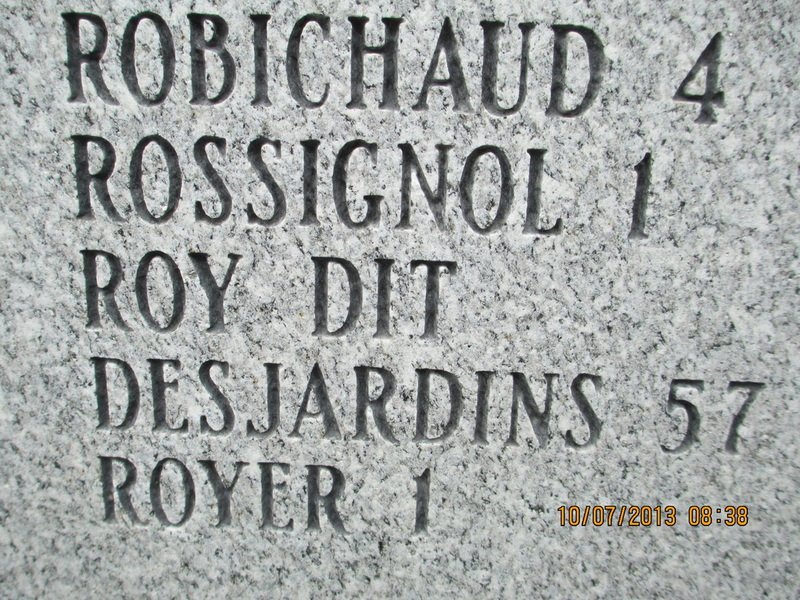 There were 57 Roy dit Desjardins buried here. Dit was an alias used when joining the militia as their were too many Roys. 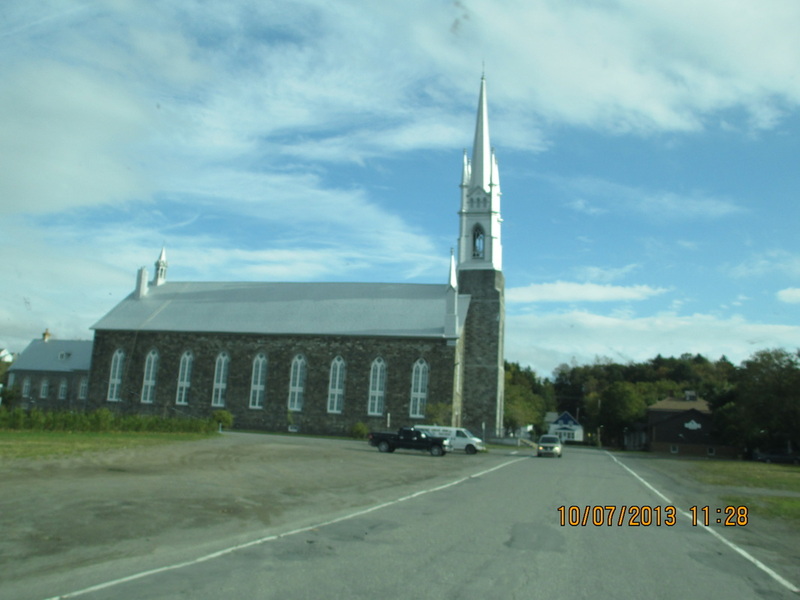 L'ISLE - VERTE - We drove past Cacouna to the village of L'Isle Verte and found the church and cemetery. Marie Yves Godin Bellefontaine (b. 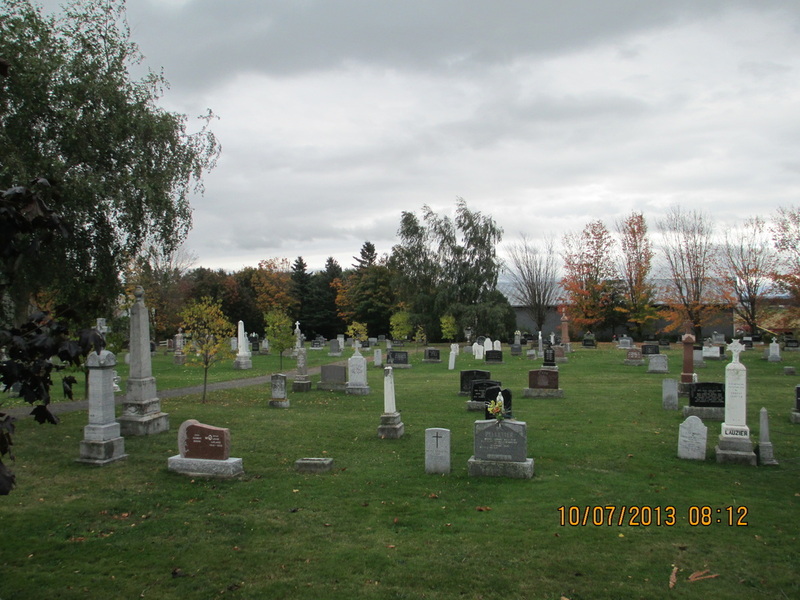 @ 1708. d. April 2, 1795), the wife of my ancestor Michel Saindon, is buried here. However, the markings on the earliest tombstones are undetectable. Update: January 26 2014 - IL'Isle-Verte - In this village of 1,500 a deadly fire in the a retirement home claimed the identified bodies of ten of the 32 presumed dead. Among them Juliette Saindon, 95, mother of Marc-Henri Saindon. An update will be added once more bodies are identified. The pastor of St. Jean Baptist Catholic Church (picture below), Father Gilles Frigon, conducted a private mass on Sunday for the families. 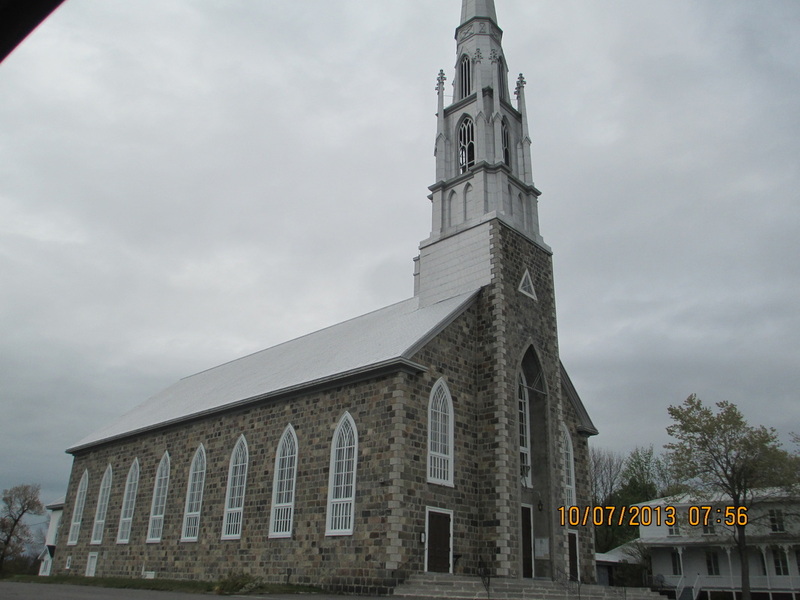 St. Jean Baptiste Catholic Church, L'isle-Verte.